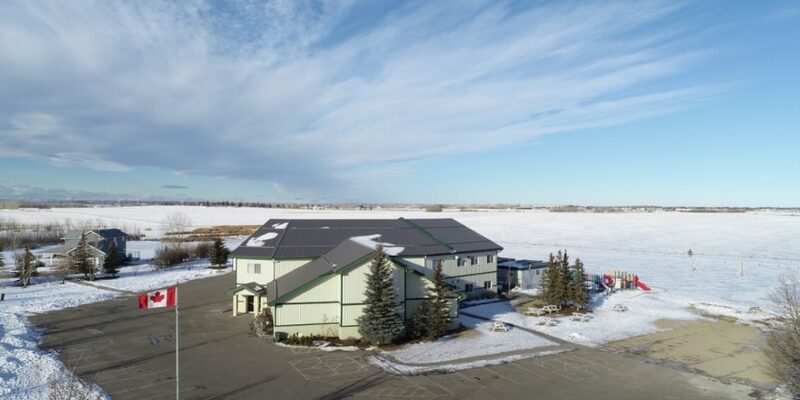 We're located at 18 Hart Estates Blvd, Calgary, AB T1X 0L3. Service times are at 10:00am and 3:00pm. Hello and welcome to the website of the Canadian Reformed Church at Calgary, Alberta. We are Christians who believe that we are saved from our sins through Jesus Christ. In thankfulness for this we seek to love the Lord our God with all our heart, soul, and mind, and we also seek to love those around us in both word and deed, as Jesus teaches us in the Bible. We belong to the federation of Canadian Reformed Churches, with historical and theological roots in continental Europe, going back to the sixteenth century Reformation. Our focus is on Biblical and Christ-centered preaching, teaching, and outreach; covenantal and sacramental worship of God the Father, Son and Holy Spirit; and holy living as a sacrifice of praise to our God for all his goodness and grace. You can read more about us here, and if you have any questions, you can contact us here. Now that you have found our website we would also like to meet you in person. You are welcome to attend our worship services which are held every Sunday at 10:00 AM and 3:00 PM, at our church building located here: 18 Hart Estates Blvd, Calgary, AB T1X 0L3. © Copyright 2019 Canadian Reformed Church at Calgary. Website by Church Social.